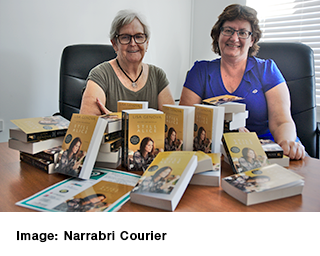 Narrabri is moving closer to becoming one of Australia’s first dementia-friendly townships thanks to local resident Dot Craig and an article in Dementia Australia’s publication In Touch, which inspired her vision. Dot read about the Dementia Australia Dementia Friendly Communities program being piloted in New South Wales, where people living with dementia are supported to live a high quality life with meaning, purpose and value. 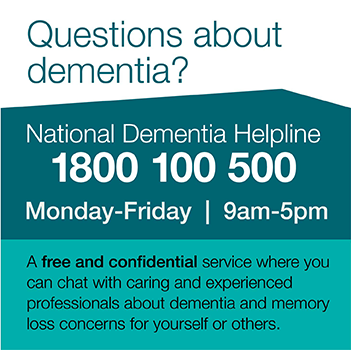 Identifying a unique opportunity to provide services that were dementia-friendly in Narrabri, Dot set up the Narrabri Dementia-Friendly Town committee to oversee the creation of dementia-friendly communities in the shire. The committee is made-up of a cross-section of the community in Narrabri including people living with dementia, their families and carers, members from the Narrabri Shire Council, Health Wise, Narrabri Community Health, Rotary Club Narrabri, the Red Cross, the Narrabri Chamber of Commerce, local newspaper the Courier and local people residing in Narrabri. According to Dot, the committee members are all very committed to the project and working together to make Narrabri a dementia-friendly community. “We want to make sure that people living with dementia in our community feel safe and are able to live independently for as long as possible,” Ms Craig said.